Radiologists not Paid for ED Procedures? It's a simple fact that the only way to maintain a practice is to be compensated for procedures. Unfortunately, according to a recent study presented at the Radiological Society of North America's annual conference in Chicago, over a quarter of ED radiological services were completely uncompensated from 2009 to 2012. This study wasn't looking at isolated events: it covered 40 states and examined radiology billing claims for 2,935 practitioners (approximately 8% of radiologists in the United States). 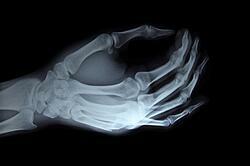 Over 28% of the time, radiologists received absolutely no compensation for their ED services. In fact, more than 96% of radiologists provided uncompensated care. Even more worrysome is the fact that the researchers stated that the "frequency and magnitude" of unpaid services was underestimated. These bills come out to $2,584 a month, per physician, calculated in Medicare dollars. Because many uninsured patients use the ED as their primary source of medical care, it is more common for these services to go uncompensated. While this is a problem for all specialists, it appears to especially impact radiology billing. The purpose of the study was to further inform healthcare policy makers, so they can understand the impact uninsured patients have. If the problem isn't recognized and handled properly, it could become common enough that ED patients could lose access to important radiological services. The study further stated that over 52% of uncompensated services provided were for uninsured patients. It's too early to tell what kind of impact the Affordable Care Act will have on these numbers, but it's clear that much of the risk of ED procedures comes from uninsured patients. According to the data the most frequent services were chest radiography, brain CT, and abdomen/pelvis CT. And while CT scans only represented about a third of ED services, they amounted to almost two-thirds of uncompensated bills. These numbers illuminate how radiologists are overwhelmingly affected by unpaid ED bills. The American Hospital Association examined the records of over 4,900 hospitals in 2011 and found that US hospitals provided over $40 billion in uncompensated services. This came out to 5.9% of their total expenses-- not just a drop in the bucket. It's important to note that this survey did not separate bad debt and charity care in these numbers. While it may not be possible to achieve 100% compensation on all services provided, here at Health Information Services, we understand how important radiology billing is to you. In order to try and compensate for unpaid ED services, always make sure to submit claims of the highest quality possible and pursue them properly.